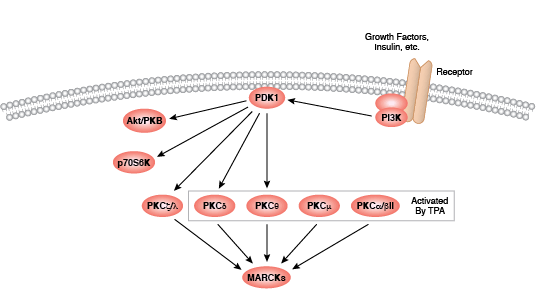 Newton AC (2010) Protein kinase C: poised to signal. Am. 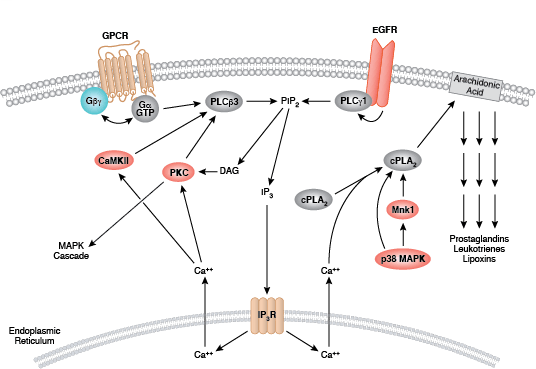 J. Physiol. Endocrinol. Metab. 298(3), E395–402. 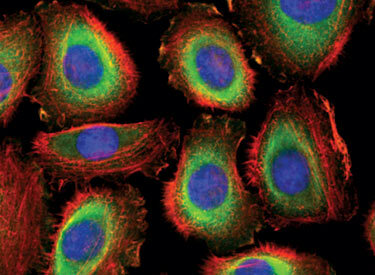 Newton PM, Messing RO (2010) The substrates and binding partners of protein kinase C epsilon. Biochem. J. 427(2), 189–96. Freeley M, Kelleher D, Long A (2011) Regulation of Protein Kinase C function by phosphorylation on conserved and non-conserved sites. Cell. Signal. 23(5), 753–62. Basu A, Pal D (2010) Two faces of protein kinase CÎ´: the contrasting roles of PKCÎ´ in cell survival and cell death. ScientificWorldJournal 10, 2272–84. Rozengurt E (2011) Protein kinase D signaling: multiple biological functions in health and disease. Physiology (Bethesda) 26(1), 23–33.